Fashion’s in crisis – but is it too late to fix? The industry’s breakneck pace has started claiming victims. But is it too late to slow down now? Elbaz’s words struck a particularly topical note, coming at a time when the workloads of designers and the way brands are trying more than ever to push their visions globally are at their height. “Is fashion heading for a burnout?”, “Fashion’s existential crisis” and “Fashion’s slippery slope claims another designer” are just some of the headlines that have emerged over recent weeks, gesturing towards, as Vanessa Friedman put it, “something rotten in the state of fashion”. 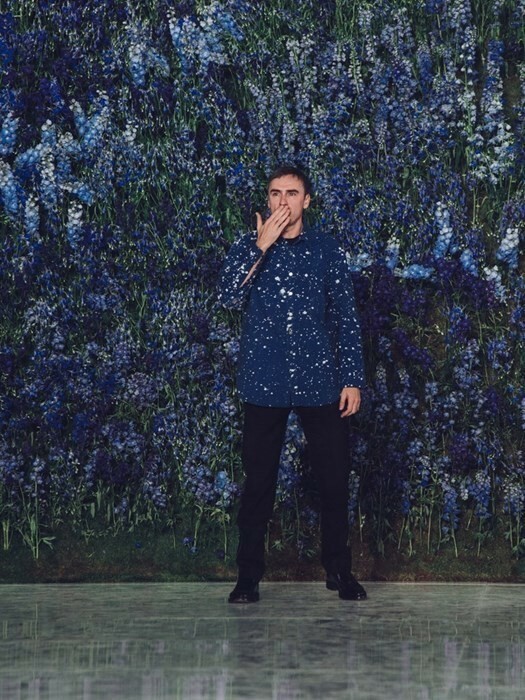 At his exit, Simons was overseeing a collection and show on an average of every six weeks at Dior and his own eponymous label, as well as overseeing other aspects of the brand – as is demanded of a creative director. It seems unsurprising that his decision to exit would have been tied to the constant – and very public – pressure to create. Of course, this isn’t anything new – designers have been raising concerns over the fashion system for years. 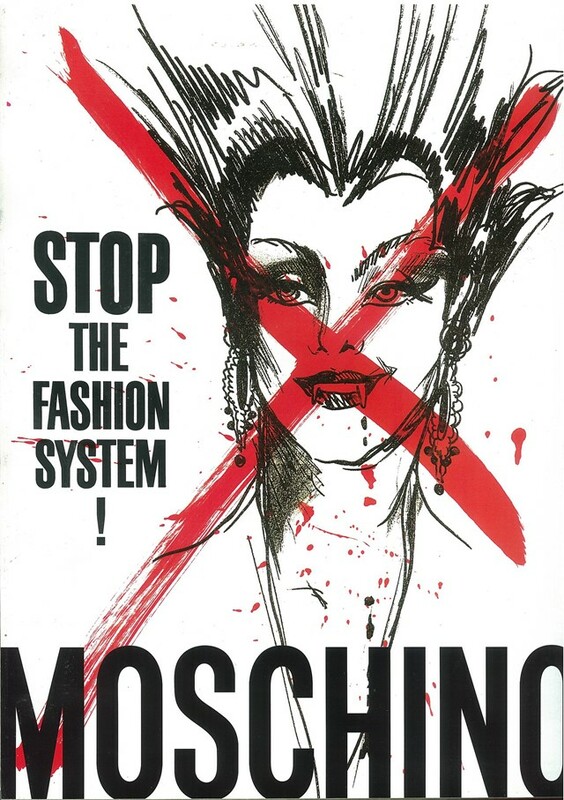 Franco Moschino was a famed critic, using humour to play with an industry he thought was stuck up and self-absorbed, using slogans such as “This is an advertisement!” and “Stop the Fashion System” in his campaigns. The very public meltdown of John Galliano (who was overseeing an astounding 32 collections a year, including eyewear, kidswear, fragrance and couture over two brands) was further testament to the darker side of the pressures of fashion. More recently, several have ditched Ready-to-Wear, citing its breakneck pace, to focus on showing couture – Jean Paul Gaultier and Viktor and Rolf being prime examples. What does remain relatively new is social media. Since its release in 2010, Instagram has transformed the way that fashion brands, designers and models interact with consumers – presenting an immediate avenue for communication. Add this to runway shows, campaigns, fragrance launches, shop openings, exhibitions, book launches and magazine specials, and it’s clear that fashion is at fever pitch, designers and brands and bloggers and Insta-famous celebrity spawn all shouting into the virtual void, desperate to be heard. It’s not just designers that are feeling the strain of too much work, but the journalists who have to cover every show, every news story, traipsing from city to city for weeks on end, churning out content. It’s a schedule that shows no signs of slowing down, in fact it’s quite the opposite – the addition of New York menswear this year means that there will be almost non stop fashion shows from January through March, a prospect few will look forward to with excitement. The fact is, brands can’t afford to whisper as Elbaz prefers – or else they fall behind. Over the last decade, the way we shop has changed drastically, from buying at boutiques to being able to shop instantly online. And we don’t just consume clothes – we consume ideas and aspirations, absorbing images everywhere from our Instagram feeds to traditional billboards. Everything is always urgent, and always just a click away. We live in a world where high street retailers look at the catwalk, manufacture copycat items for minimal costs in foreign factories and ship them back to stock shelves before designers have started selling their original creations themselves. Designers may be creative geniuses, but the reality of fashion is that it is an industry based on commerce and consumption. They need to constantly generate new ideas, and those need to be profitable. We’re in an era of hyper-capitalism, where profits come at the cost of people, and where our demand for the new is unquenchable. After all, today’s viral story, seen by millions across the globe, is tomorrow’s old news.